1. Fat Bikes ARE FUN! 2. 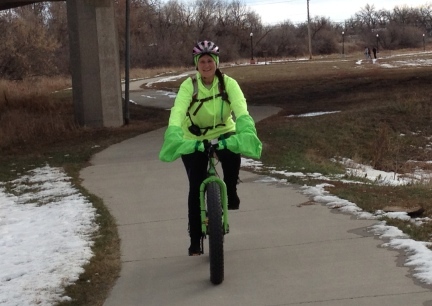 Riding a Fat Bike in the Winter keeps you active all year! 4. They come in many sizes and colors. 5. Meet New Fun People! 6. The 'Ooow!' and the "Ah!" of the other People Out On Bike Paths. 7. They are JUST SO KOOOOL! 8. You know you want one. 9. Rent one. Enjoy. You will be HOOKED! 10. Keeping in Shape and Weight Off Your Body for Next Years Downhill Season. 11. You have been thinking about a New Bicycle, WHY NOT A FATTY!? 12. Fun and Great Work Out on Rails to Trails....ALL YEAR! 13. Those Great Big Tires! 14. They sound like a Bicycle Truck on the Trails! 15. They look KOOOL on the back of Vehicles. 16. Safer on snow and ice in the Winter than other bicycles. 17. Winter Sports Wear! Now you have another Winter Sport! 18. Exercise your dog all Winter. 19. Keep those impressive legs muscles in shape! 20. Get away from the Holiday fighting...go take a ride! 21. 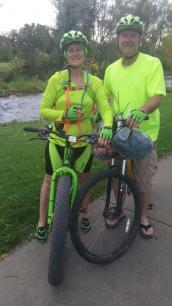 All the nice compliments on the Trail; "What a KOOOOL bike!" 22. Add Christmas Lights and Head out to the Trail. 23. Add Christmas Lights and Join the Christmas Parade. 24. Keep up with your friends who already bought one and are having a BLAST on them! 25. Another Bicycle in your Stable. 26. Changing those big ole tires! 27. Having a New Sport within YOUR Sport. 28. Your Local Bicycle Shop needs your support. 29. Bike Jouring. Hooking your dogs to the front, dogs in harnesses, thus, Sled Dogs. 31. Cheaper than a new car. 32. Learn to do a 'Wheelie' on one. 33. Find out just how fast you can make it go. 34. Keep your wife or husband, girlfriend/boyfriend happy and company on the Trail if they already bought one. 35. Ride to Bon Fires. 36. Bring home Groceries in the Winter Months. 37. Keep Winter Blues Away! 38. Something to ask for when asked what you want for Christmas. 39. You'll feel like a kid again! 41. You want to greet Winter with a Smile. 42. You want to Greet SNOW with a "Whoop! Whoop!" rather than a "Dang It!". 43. Ever growing in popularity. What do 'they/those that have them' know you don't? 44. Because you are not ready to give up bicycle riding for the Season! 45. Because you LOVE the LOOK of those Big Fat Tires! 46. 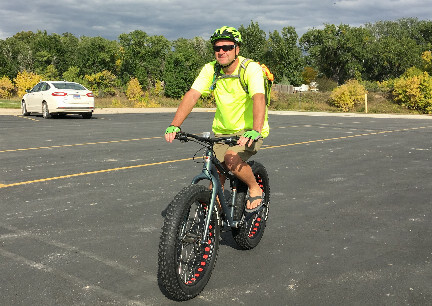 Because YOU are the 'Bike Guy' people go to to find out all the answers to their questions....but you are unfamiliar with Fat Bikes. 47. You saw one the other day and the person riding it was having so much fun! 48. Because YOU know what "+1" means...and it's been a while. 49. You want to ride on Sand at the Beach. 50. 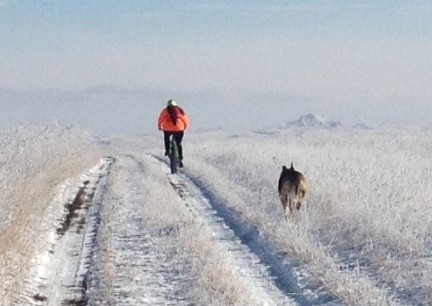 You want to ride your Bicycle in Yellowstone in the Winter. 51. Because you love riding all year...and be safer. 52. Why would YOU not? You love riding all types of bicycles! 53. Your tired of building Snowmen, year after year, Snowshoeing bores you, and your not a great skiier. 54. Hot Chocolate after sounds so danged good! 55. Many Brands have that 'anything cage holder', and it is just KOOOOL! 57. You rented one and are HOOKED! 59. 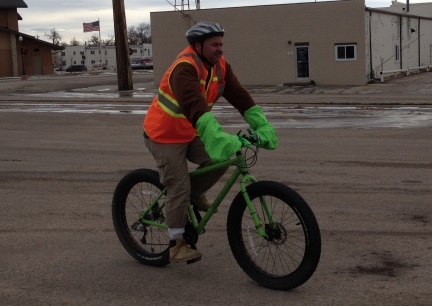 Everyone else at your work quits riding to work when it gets cold. 60. 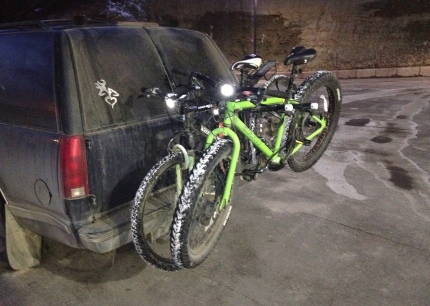 You love Frame Bags and how KOOOL they look on Fat Bikes! 61. Because once you ride FAT ON SNOW, You will ALWAYS DO FAT ON SNOW. 62. Your Bicycle was stolen. 63. Your Horse aged and died. 64. You want to carry Coffee and not get too hot for it on the Trail. 65. Hot Pots of Chili after Group Rides. 66. Learn how good Hot Tang (yes, the Orange Stuff) is for you. Favorite of Sled Dog Drivers. 67. GREAT CONVERSATION STARTER AND PIECE! 68. To learn what a Puk is and build one to pull behind you. 69. Group Ride = Christmas Carroling. 70. Cold Weather is good for you to get out in....well?, done properly. 71. Because one more size Tubes on your Shelf will look KOOOOL. 72. Suffering the Cold makes for better Stories! 73. All the other people out on the Bike Paths and Bike Trails IN YOUR WAY all Summer, will be home with a Blanket on their Couches. 74. Only the Strong Survive. Make yourself STRONG in all seasons! 75. Nothing like being closer to and talking to the Lord as your sliding down those hills! 76. Pumping Up and Deflating Down the Tires for different temperatures and situations. 78. Winter Fun. Winter Sport. Winter Excitement! 79. More tire for chasing dogs to catch rather than your legs! 81. Be braver and more exciting than 'that person' that sits on the couch all Winter. 82. Be the one to show up at a Group Ride with a Thermos of Chili on Your Bicycle attached to the 'Anything Cage Holder'...don't forget to take bowls and spoons in your Frame Bag. 83. WORLD FAT BIKE WINTER EVENTS. Seriously, look that up. Now! You know you want to go to those! 84. 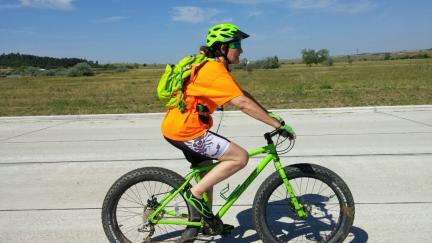 More FB Pages to Join....those about Fat Bike Events and such. 85. New FB Friends. Those that enjoy your new found Winter Sport! 86. More Bicycle Stuff to talk about with your friends and family...you know they love that! Well, those that enjoy Bicycle Stuff! 87. Yes! More Forums! 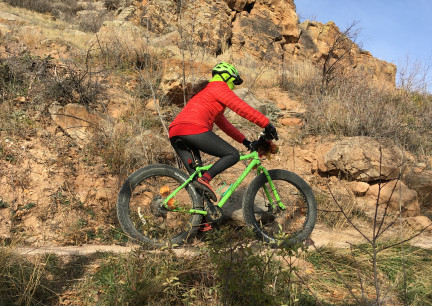 The Fat Bike Forums you can join and talk to others about Your New Fat Bike, the Sport, the Upcoming Events, and all the Possibilities. 89. Using all those Scarves you have received as gifts through the years, covering your Huffing and Puffing out on the Trails! 90. Having something to talk to your Mother or Grandmother about...."Could you make this Bicycle Bag for me?". 91. Have Sugar Plums about Winter Bicycle Riding Dancing in your Head as you Fall Asleep each Long Winter Night. 92. Shopping for new Fat Tires...deciding on the type and sizes you want to try next. 93. Sometimes (often really) the sound of your Fat Bike startles other riders when you come up behind them on the Trail....they be like...."What is that!?". 94. Be the Buzz Talk at the Next Winter Sweater or Christmas Party or any other Party really. 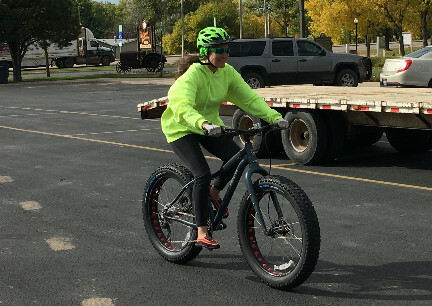 Everyone, young and old will want to hear about and ask questions about, YOUR Fat Bike. 95. You like a 'Cool Breeze Blowing In Your Face'? Wait til you feel that "COLD Winter Breeze Blowing In Your Face"! Seriously! It's WINTER WONDERFUL! 96. Learn how long it takes before Water Freezes in your Bicycle Containers. Experiment with times and ways to carry water. 97. To Need Neoprene Bicycle Shoe Covers....of just wear Winter Boots. 98. Get there faster than walking, or snowshoeing and probably CC skiing. 99. Wonder, "Why have I waited so long to enjoy this Sport!?". 100. 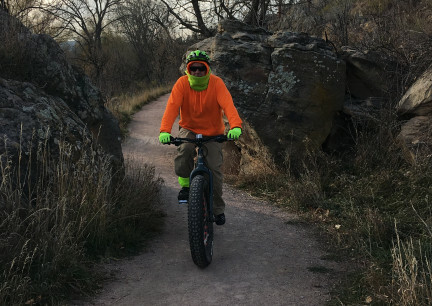 Become a Winter Fat Bike ambassador! Encourage others to get out when it is cold! The contents of this page for 101 Reasons For A Fat Bike is still under construction. Please check back later!